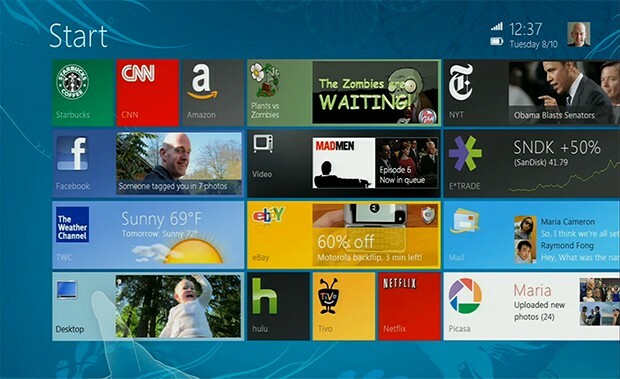 Microsoft's Jensen Harris, who wears the hat of Director of Program Management for the Windows User Experience team, showed off some Windows 8 mockups minted in early 2010 during a talk at last summer's UX Week 2012. Now, a video of the presentation has been posted online, giving us a look at the reference designs. Despite roughly two years separating mockup creation and the launch of Windows 8, the OS remained remarkably true to its conceptual roots. During the hour-long talk, Jensen covers the birth of Windows 8, its driving principles and even mentions some distaste for the faux leather aesthetics in some iOS apps, calling them "cheesy visual effects." Hit the adjacent gallery to catch a peek of the early Start screen, on-screen keyboard, Charms Bar and lock screen. For a video of the hour-long talk covering the story of how Redmond's operating system came to be, head past the jump.